Happy release day, S.M. 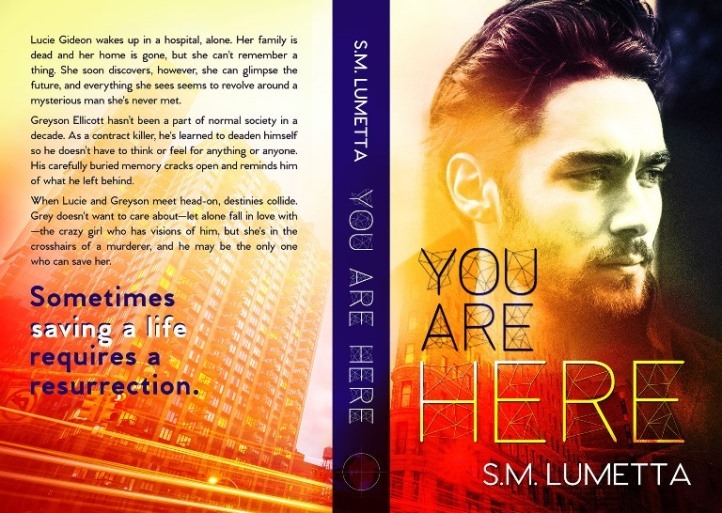 Lumetta and congratulations on the release of You Are Here! When Lucie and Greyson meet head-on, destinies collide. Grey doesn’t want to care about—let alone fall in love with—the crazy girl who has visions of him, but she’s in the crosshairs of a murderer and he may be the only one who can save her.